I have a 2002 911 I am parting out. Obviously many of the parts from it can fit a Boxster. It was wrecked in the front. Surprisingly, not too much was damaged. Is actually worth fixing. Most of the damage is to the front passenger side. It was a low hit on the passenger half of the front of the car. The front trunk, hood, and bumper support are damaged. The passenger side fender is bent but I think it can be bent back into shape. Working on that in the next few week. I have a replacement front bumper cover as well. It is Seal Gray with black leather interior. 35K miles on the chassis. Most parts are in really good shape. Car has HID headlights with washer nozzles. The passenger side is damaged a little on the bottom. Not noticeable once it is mounted though. I have two sets of the 5-spoke wheels. The set on the car in the pics are in ok shape. No curb rash at all. Just for some reason they don't shine well. Cheap Sumitomo tires. They don't have much life left on them. My plan is to keep them if they don't sell and have them refinished. The other set is in fantastic shape. They literally look brand new. Tires are almost brand new as well. The tires are very nice Bridgestone S-02 performance tires (cost $1300 new for the set). Engine available as well. $10K for it. Last edited by Prelude Guy; 12-04-2018 at 02:01 PM. If I understand your post, you are not parting out the car (as stated in your title) but selling the entire car. Is this correct? Also, you state 35k miles on chassis. What it the mileage on the engine? It this a manual or tip? Which throttle body is on this car? Price? anyone know if struts fit 986, at least front? I've gotten many inquiries about the headlights. 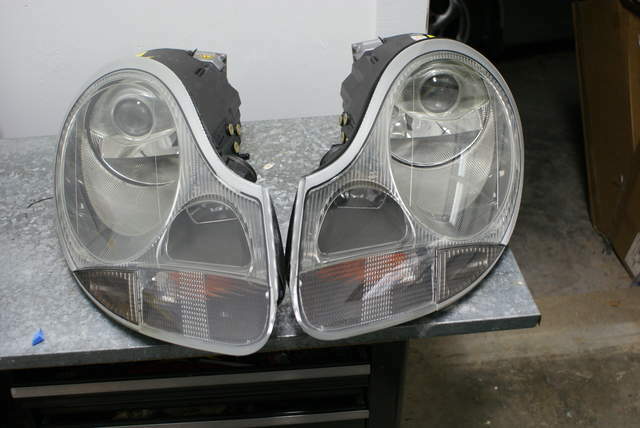 The headlights are in good shape. The passenger side is not damaged badly at all. I wanted to be truthful and thorough. There are some scuff markets on it. There is one tab that is broken off a little. It is not bad though. As I said, it mounts fine. 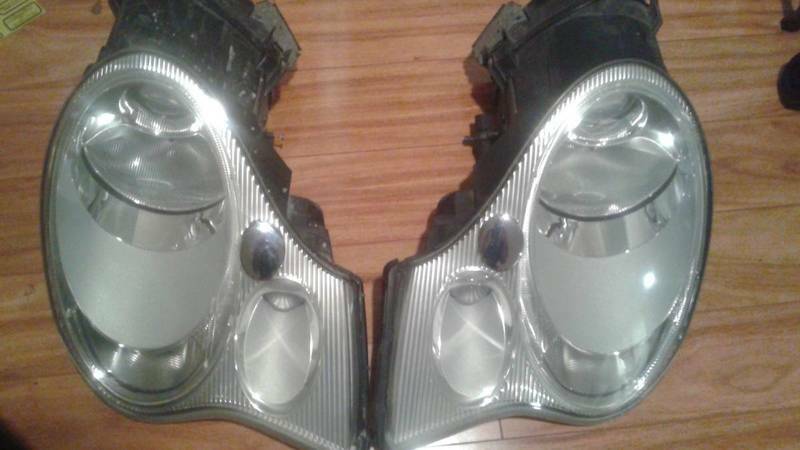 I will get pics of the bottom of the headlight to show that I mean. Looking to get $800 for the driver's side and $700 for the pass. side. I am parting out the whole car. I am not selling it complete. It is a 6-spd manual trans. All parts have just under 36K miles. Not sure what you mean which throttle body. It's drive-by-wire if that's what you mean. It's off the 3.6L engine. 996 911 suspension fit 986 Boxsters. Shocks, springs, control arms, etc are interchangeable. What is the style, size, and condition of wheels/tires? how about the drivers side visor mirror? I'm not an expert on the 996, but they were restyled during the mid-part of the model run and one of the significant changes was in the headlights. The earlier type would fit a Boxster, but the later type will not. Your lights appear to be the later type that won't fit. Last edited by KevinH1990; 12-08-2018 at 06:11 AM.